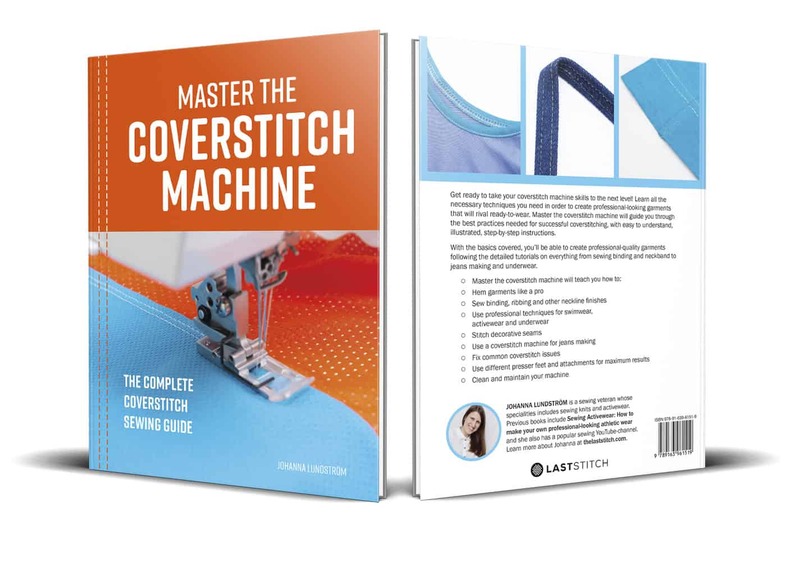 Master the Coverstitch Machine: Out now! I’ve finally launched my new book Master the Coverstitch Machine: The complete coverstitch sewing guide. It’s been over 10 months since I first started working on this book, and it still feels a bit surreal that’s it’s actually out now! In fact, some folks here in Europe already got the pre-ordered print books last week. And if you have already gotten the book, and would like to write a review on Amazon or such, I would be forever grateful! I don’t own a coverstitch yet. Will the book still be useful? 100%! In fact, I wish I had something like this book available when I bought my first machine 15 years ago. This book will help you make a very informed purchase, and the first section in the book is actually a buyer’s guide where I describe all the different types of machines out there and what you need to consider before taking the plunge. Also, the tutorials in the second half of the book will help you decide on what type of machine you want (for instance a 2-needle vs a 3-needle). I’m a more experienced coverstitch user. Is there something in the book for me? I think so! The book moves from beginner to more advanced, RTW-inspired, techniques. So if that’s your jam, I think you’ll find useful information in the book. Plus, it’s always good to brush up on the foundation stuff too from time to time, and there is a lot of information on things like thread, needles, settings and even a section about industrial coverstitching. That said, if you are an advanced coverstitch user (and I know there are some amazing coverstitchers out there) you have probably already figured out the techniques I describe in this book. 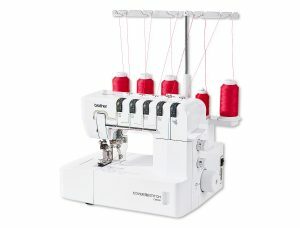 I have an XYZ brand coverstitch machine, will the content in the book be useful? Yes! This book is not done for a particular coverstitch brand, the content is applicable to every coverstitch machine out there. 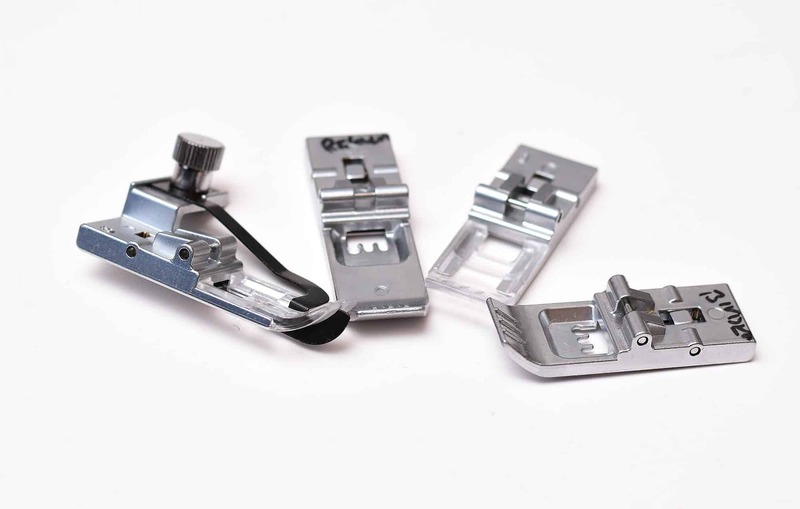 Because apart from threading and an occasional extra settings knob, all coverstitch machines work the same and the tutorials I show in the book can be done on pretty much any coverstitch machine. I do have some tutorials that use attachments, but I consciously picked attachments that are readily available for several brands and models, such as binder attachments. So that you can use the book, regardless of the machine. A digital ebook: In pdf-format with clickable cross-references, table of content and index. This book can be read on pretty much any device. A print book in paperback: It can be ordered through Amazon, Barnes & Noble and hopefully other online sellers too. You’ll find links to both formats here. Why can’t I find the book in stores in my country? Since I’m self-publishing and using print-on-demand services, it’s a bit harder to get booksellers on-board, as I’m not part of the established system. Hence why my book will be harder to find at local vendors. So far, it’s mostly the various Amazon sites that stock my book (plus Barnes & Noble). But hopefully, that will change in the future! What does local VAT mean? It means that sometimes local VAT is added when purchasing the book. For instance, the EU now has an internal digital goods tax that caused quite an uproar in the sewing community when it happened, since it hits things like pdf-patterns and ebooks. I use a service called Gumroad for my patterns and ebook, and they add VAT when applicable depending on your location. I have no power over this, I just want to follow the rules and avoid going to jail for tax evasion! The money is automatically transferred to the local ruling authority by Gumroad so that I don’t have to deal with the tax issue (again I’m very afraid of getting the taxes wrong, at least the Swedish authorities are super diligent with this stuff!). Because Kindle thinks I have too many photos! Yes, sad but true. The current standard flowing Kindle format doesn’t support a picture heavy book, and my book has a very specific illustrated step-by-step layout. And also the book file is too big for them to distribute. Plus I want you guys to have the full book experience, regardless of format, hence why my ebook is in pdf-format instead. Can I buy the print book directly from you? No, everything print book related is done via printers and distribution locations around the world. I even have to order my own copies from the UK. And if I would send out books from my (tiny) apartment in Sweden, the shipping cost would be huge, because international shipping from Sweden is crazy expensive, and trackable shipping would cost even more than the actual book. Much better to rely on companies such as Amazon, who have a streamlined system with lower shipping costs for you guys. Will you translate the book to Swedish (or any other languages)? As for other languages, my hope is that publishers would get in contact with me, so I could do a licensing translation deal, for instance with a German publisher. Fingers crossed! Video: My sewing routine — get ready to sew with me! I pre-ordered 2 copies of your book and am wondering when I’ll receive them. I live in Canada and I recall you saying that they may not be available in Canada as early as in other countries. Hi! Did you order a print book through Amazon or another on-line retailer? I know that it was a bit slower to deliver the books to Canada compared to US the last time I published a book. Check with the seller (Amazon?) for an update and hopefully they can give a more definite answer. Thank you so much Zinta! One of my main objectives with this book was to be inspiring and encouraging, so this makes me so happy to hear! Got my book today – looks fabulous! Especially lots of wonderful, informative photos. Can’t wait to start reading! Congratulations on creating a book everyone will need in their libraries. Thank you so much, that means the world to hear! I missed the info about a new book – did I just miss something in Patreon or was it only for the very highest donors? And I do have your new book about coverstitch machines and it looks great so far! I need so many more hours in a day to do all the sewing I want to do! Hi Angela! I didn’t post about in the Patreon group because I was worried I might be spamming people all over the place, but good point. I will do a post about there too now!